House walls are an inseparable part of interior house design. We should pay attention to the walls in the same way as we pay attention to furniture choice and other decorative elements. You can add these new wood wall art on your house walls and create a modern look. The ideas are here and all you need are 5 minutes to go through images and then choose the best! People love adding wood as home decorative elements if you love the wood too pay attention to the following photos. 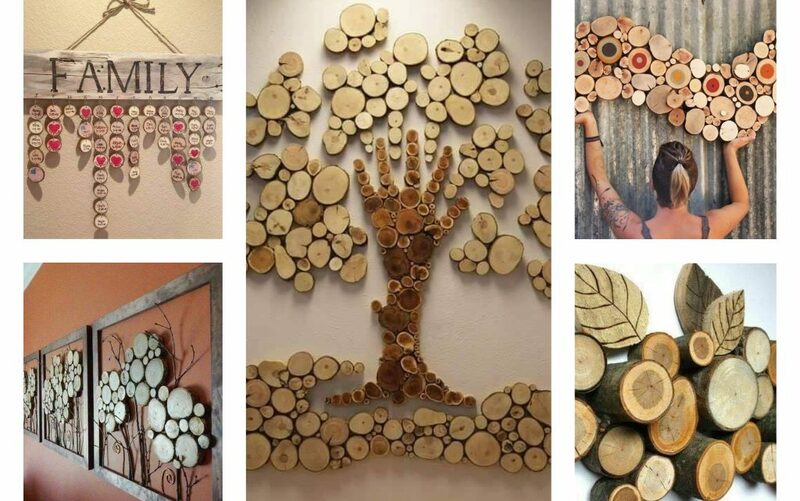 Take a glimpse in other wood art ideas that might inspire you. 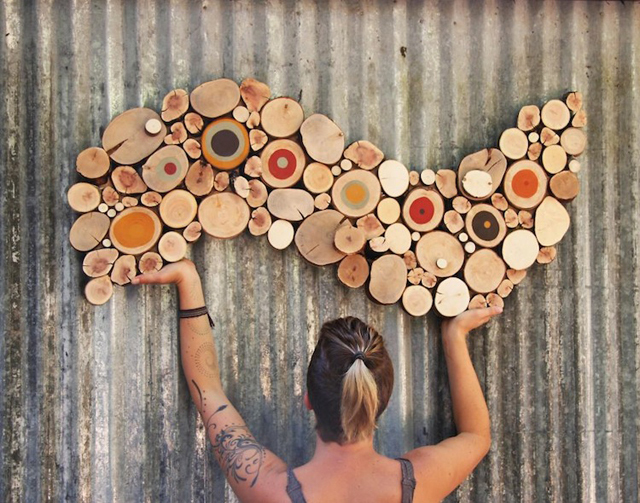 Wood slices look wonderful and you can create different shapes for decorating your house walls. 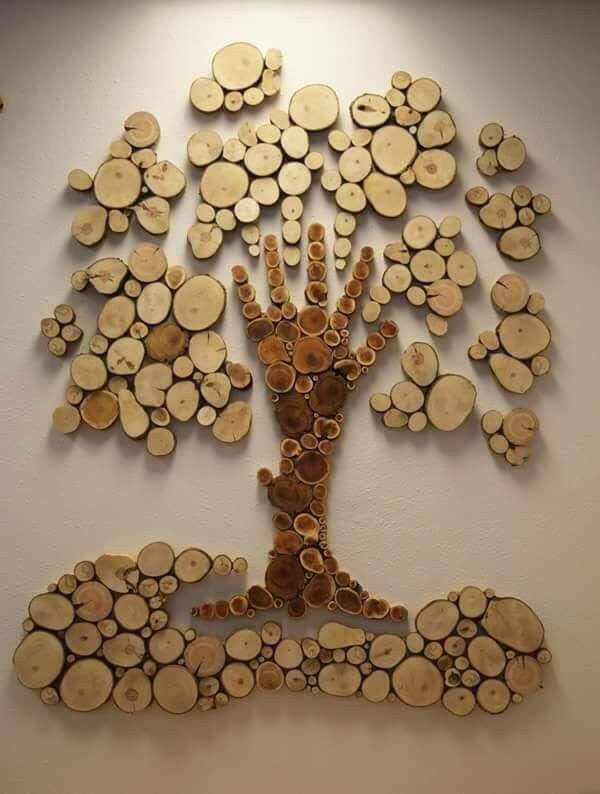 Our first idea is about creating wood slices tree-shaped wall decorative element. 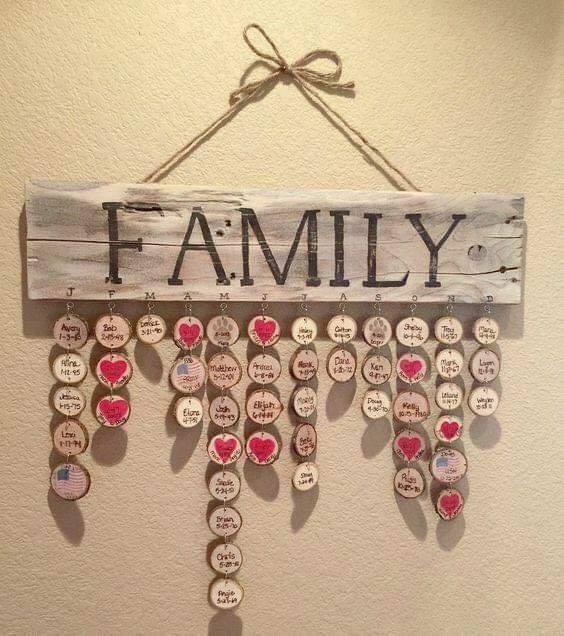 If you are a creative person, you should think about making this craft at home but if not just buy it and hang it on the house walls. Blank walls look boring and mundane mirror frames look awful. 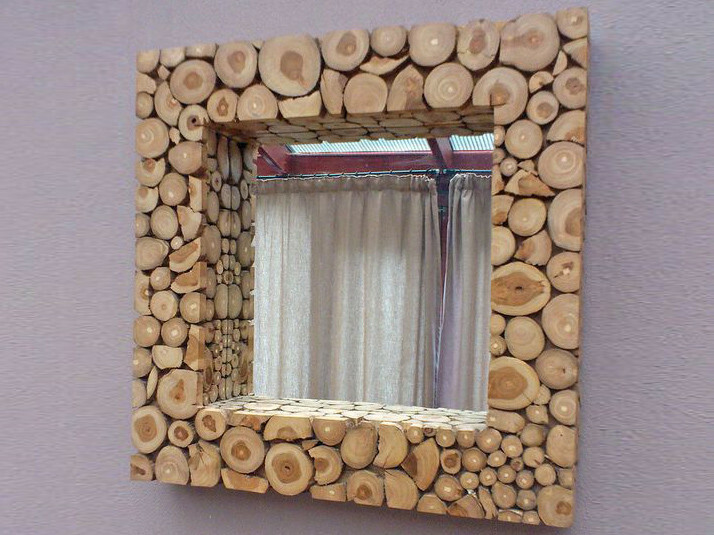 But wooden slices framed mirror looks absolutely wonderful. It’s not strictly to add squares shapes formed of wood slices, but you can although add carved wood decoration. Keep the look of stylish home with a design like this. This is NEW, this is WOOD, this is an ART. I think that everything that is made of wood looks modern and beautiful. You don’t strictly need elegant shape or the same size of logs. 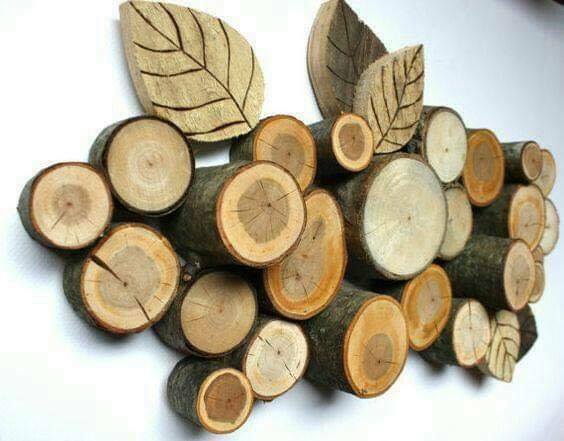 Different shapes and sizes of wooden logs also create stunning wall design. Find idea in this photo that is simply great. It’s wood again, but this time is about birthday calendar hanged on the house wall. Every person love calendar and this is a super idea about wood wall art to bring the fashion on home walls. 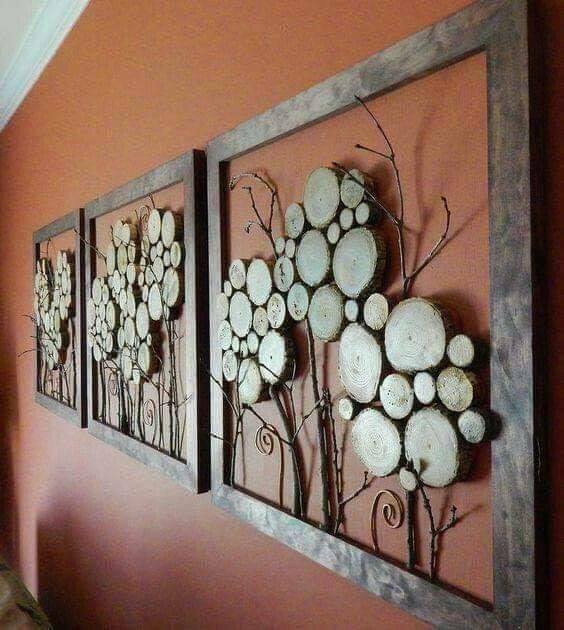 Wood branches and slices are a SUPER combination for a home walls decor. As you can see, with decorative elements like this you don’t need any gallery wall but you need THIS. 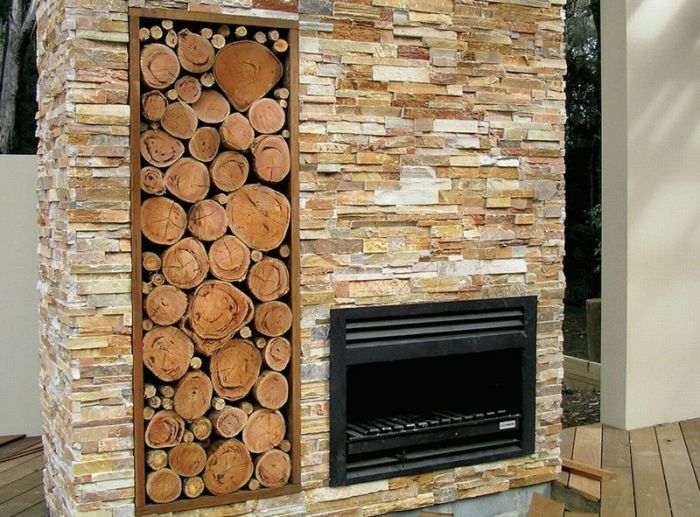 Firewood organization can also look nice if you just add built-in wall shelves and be sure that you have created a wood art. As you can see in this photo the wall is decorated with stacked bricks and all this give you contemporary design. The last idea of this post is about how to choose one whole wall of the house and to fill it with wood. With a wall like this, you can create a modern home that will make jealous your guests. For the end of the post, I want to wish you a nice start of the week and to please you to follow us to the end of the week and to see amazing ideas!